The Arab Center in Morocco is dedicated to promoting democracy, rule of law and the market economy in Morocco and across the MENA region. Amongst other things it undertakes translations, publications and events in many countries in the MENA region and invites people from those countries to their events in Morocco. Its work is truly international. 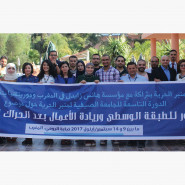 Between September 9th to 14th they organised a Summer school in the City of Khoumissat, Morocco. The summer school attracted about 30 young civil society actors from Morocco, Tunisia, Iraq, Yemen and Palestine. The participants attended lectures and workshops on the role of civil society, the management of democratic transition and institutional reforms. This year the theme related to the role of the middle class in the post Arab Spring era, a role that needs to be understood from political, economic and social perspectives. Participants belong to different political and ideological orientations which constitutes an important advantage to exchange, network and learn from one another in total respect for pluralism. Expected outcomes will be the number of op-eds and papers published by the participants and the likes and shares of these activities. Also the number of participants who later initiate activities in their own countries and the number of organizations that may be created as a result. 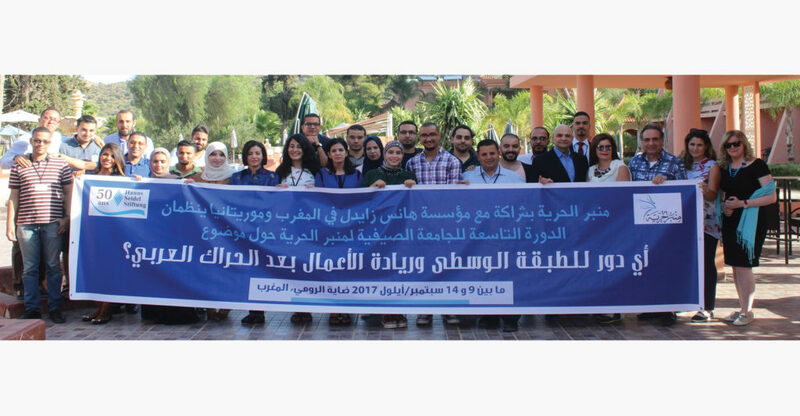 30 young Arabs gained a better understanding of the role of institutional reforms and civil society in creating a freer and more successful economy and peace in their countries.